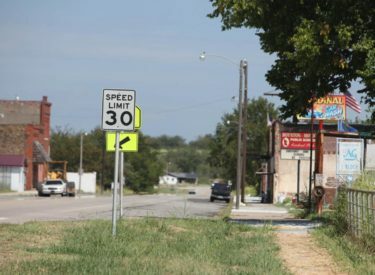 OKLAHOMA CITY (AP) – An audit has found that a “culture of noncompliance” and lack of oversight in a tiny Muskogee County town led to the apparent misappropriation of more than $100,000. The Tulsa World reports the audit released Friday by the state Auditor and Inspector’s Office builds on a 2016 private audit that found former Boynton Town Clerk Candace Lang and her then-boyfriend, Willie Hopkins, “colluded to misappropriate assets of the town” between 2014 and 2016. The report says the town, population 248, “has been embroiled in fraud, waste, abuse and financial mismanagement” since 2009. It also says officials wrongly removed or destroyed records from the town hall. Boynton’s board voted in 2016 to remove Candace Lang, the mayor’s stepdaughter, as town clerk. Hopkins, the town’s water man, resigned around the same time.